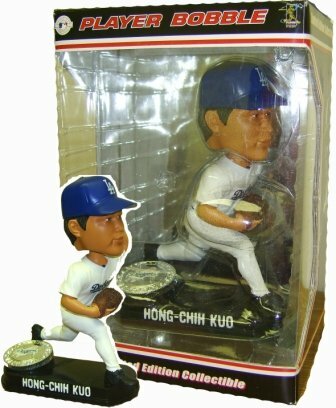 This limited edition player bobble figurine of Hong-Chih Kuo of the Los Angeles Dodgers is already a hot seller! After winning his first Major League start last season against the Mets, Kuo's popularity sky-rocketed across the globe. This beautiful figurine comes from Forever Collectibles, and is a great way to show your team spirit!